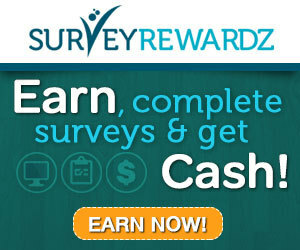 Vindale Research is an online survey for cash website. Today, I’ll be reviewing them and letting you know if they are a scam or a legit survey company. First of all, What Is Vindale Research? Vindale is an online marketing research panel that’s been around since 2005. They deliver surveys to people residing in US, UK, Canada, and Australia. How Do You Earn Money With Vindale? You first want to sign up with Vindale. 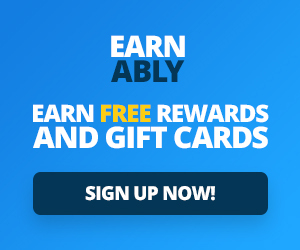 It is free to sign up (you shouldn’t pay to join any survey company). After you join Vindale, you get access to several ways to earn money. The most popular way to earn money is to participate in paid surveys. After your account has accumulated $50 USD or more, you can request a payment. How many Surveys Can You Take For Cash? A problem some survey websites have is they run out of surveys for their members to complete for money. Vindale says they get hundreds of new surveys every day. That’s a lot. You will get notifications by email when new surveys are available to you. You are free to take as little or as many as you like. The more you take, the more money you’ll make – of course. Vindale Research has more ways of earning money than most survey sites, but it still primarily operates on the basic model of most market research companies. Businesses pay market research sites to access their large pool of survey-takers. Most surveys are aimed towards a certain group of people; for example, they will often only direct questions about shopping items to a person who indicates that they are responsible for the majority of the household shopping. If you received this screening question and selected the option to say that you do not do the majority of the shopping, it is likely that you will be screened out of the survey, and unable to continue or earn money from that opportunity. However, there are many different demographics that the companies look for – it is best to be honest, as you never know who they are looking for! Take surveys. Companies pay Vindale Research to have access to you and your fellow members, and then Vindale Research pays a small amount to each person who took the survey. Members may need to take many surveys to save enough money to cash out. Vindale gets paid for their pool of members, companies get valuable market research and you get paid cash. It is a system that works for everyone, and you can be involved from the comfort of your own home! Watch videos. We all watch ads, but Vindale will pay you to do it! You can earn up to $0.25 to watch a short video. Email links. Vindale sends out emails with affiliate links that will earn you around $0.10 for every time you click on that link and follow through. In this case, advertisers are spending money to make sure their product or service is being seen. It takes a short amount of time to complete and the money adds up. Cash contests. You can sign up for Cash Contests and earn up to $15, every day. The best way to find these is by participating in their social media and following the blog.